Boasting over 1 billion daily active users, Facebook is a social media force. However, despite so many users worldwide connected in some way to a cause or a nonprofit right in FB, the company has only recently started using its power to promote charitable giving. But that effort is accelerating rapidly. Facebook has pushed out fundraising calls-to-action for Ebola efforts, Nepal earthquake survivors and even issued Amber Alerts. If your nonprofit has not yet used Facebook to raise money, think about how you might use these two Facebook fundraising features. An ask that is timely, specific, and compelling. Visuals — ideally an eye-catching, emotional video — to tell a story and inspire action. An incredibly easy-to-use fundraising platform. An easy way for donors to ask their peers for donations. Fundraisers on Facebook will do all of this in one central location. In fact, FB is using the techniques found at popular crowdfunding sites such as Kickstarter or Crowdrise. Now your supporters can set up a dedicated page to raise money from their peers for your cause right on Facebook. When FB users “join” a Fundraiser on Facebook, they can keep up with the progress of a campaign and get updates from your charity. For charities, this simplifies managing a peer-to-peer campaign on FB. Much like Facebook Events, nonprofits can update donors with photos and videos, and accept donations right within Facebook. The best part of this new feature is that all the information about a fundraising campaign is in one place, rather than spread out across the News Feed or on an external website. Fundraisers on Facebook keeps your supporters and donors where they want to be — within Facebook — with no need to click out to another site. It makes the experience seamless. When donors provide their credit card information, they can make a gift on the Fundraiser page, and then spread the word to their Facebook friends with just a tap. Shared posts on Facebook also feature a Donate button linking to your campaign, thus multiplying its reach and bringing in more donors. Fundraisers on FB works seamlessly with the Facebook Donate Button. 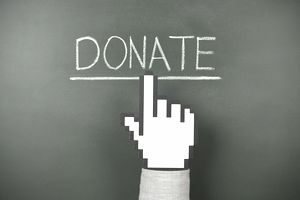 The Donate button has been available to qualifying nonprofits on Facebook since 2013, but now it has become more useful than ever. Making the FB donate button even more useful is that if users link their credit card to their FB account, it only takes a few taps to make a secure donation the next time. The ability to keep users on Facebook when making their donation is critical to the success of these new tools. When someone donates through the donate button, using their credit card, Facebook will be listed on that donor's credit card statement. FB sends reports to charities that provide the name of a donor and their email address (if provided). FB charges a fee of five percent for processing the donation. Nonprofits receive 95 percent of each donation. To apply for these applications, visit Facebook's donate page. There is also a useful list of Q&As you should read. Facebook releases new features frequently, so nonprofits need to have a strategy before jumping in. Also, don’t expect immediate results. These new tools could be hard at first if you have not built up an engaged, active community of Facebook fans. If your charity is a Facebook newbie, you might consider trying out paid advertising on FB to start building up a fanbase. Also, sharpen your knowledge of the kinds of posts that work best on FB. It takes determination and dynamic content using photos, videos, and good stories to be successful on Facebook. Also, keep in mind that FB is a third party system. You don't own it. And it isn't like having your own system to process donations online. Nevertheless, Facebook's fundraising applications can and probably should be part of your overall fundraising strategy. Follow Nonprofits on Facebook for updates on these and other features, as well as best practices and case studies of nonprofits successfully using Facebook to raise awareness and funds.